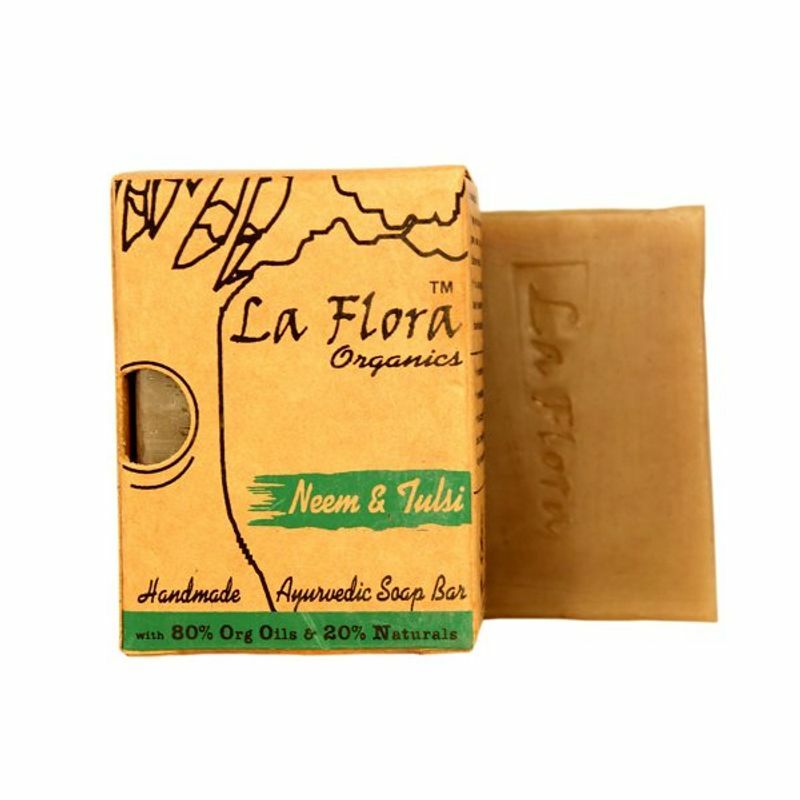 Handmade and cold process made Ayurvedic bathing Bar with the goodness of Certified Organic Coconut Oil, Neem Oil, Tulsi powder & Neem leaf powder.La Flora Organics Neem & Tulsi Ayurvedic Handmade Purifying Soap Bar purifies & nourishes your skin pores from within and keeps your skin blemish free. Neem is a healer with anti fungal, antibacterial properties. Tulsi or Holy Basil is an antiseptic herb with many medicinal values. 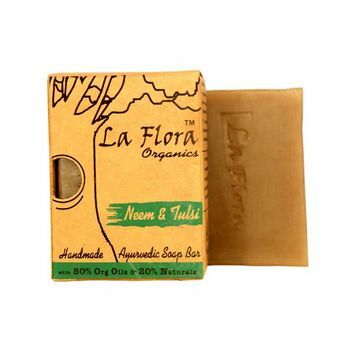 This Ayurvedic soap bar by La Flora organics purifies the skin deeply from pollutants and protects it.